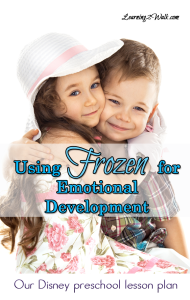 Yes, we have done even more Frozen activities for our preschool lesson plan this week. We have done sensory activities, engineering as well as addressed J’s emotional development all through this movie. Today I am going to share with you a quick and simple craft that we did today. Please note, I am not a crafty person but my daughter seems to enjoy them and so I try. For this craft I simply downloaded the Build An Olaf Printable from Disney Family. At first I was simply going to go the lazy route and let her glue it to a piece of card stock but my few brain cells decided that it could come up with something better. Once she was finished being a silly goose, she was able to create Olaf while looking at the little Olaf image in the bottom left corner of the tray. 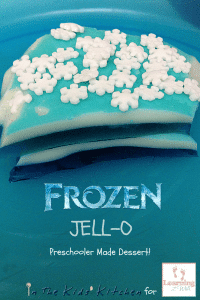 If you enjoyed this Frozen activity, don’t forget to check these out as well. This is super cute! I did something like this, on a larger scale, for my daughter’s 7th birthday party a couple of years ago. Very fun activity!